Polly has been around for a while and is a great tool for making your app more responsive. It helps in developing strategies around transient faults i.e. dropped network connection, weak transmission resulting in errors, etc. In this post, I will demonstrate how to simplify the use of Polly in our Xamarin.Forms MVVM app. You can build from there and make the strategies as complex as needed. Polly works with any .NET application. Which means that you can apply these resilience policies to your .NET API layer as well. Let’s build an app that pulls a list of countries from a REST API. If the API is ever down or not responsive for a period, we still want to get the data without throwing up a bunch of alert messages. To do this, we employ a policy to retry a given number of times if a call fails at first. And in some cases, wait before retrying to give the API time to recover and cater to our requests. 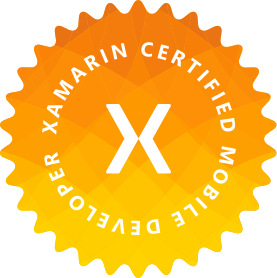 market to write MVVM Xamarin.Forms app is Prism.Forms. It provides services to handle navigation, dependency injection, events, etc. So we will be using Prism.Forms for this app. These are the main components of the app that make use of Polly as a stand-alone service that can be used optionally. We will use the mono managed HttpClient for this demo. But since we can swap the implementation of the client for numerous reasons, we will keep our client independent using IClient abstraction. This service will handle our Polly policies. We want to keep all my policies in one place so that we can easily manage them and test them. This service will handle all API calls. We can choose to use Polly policies (via INetworkService) or not in this service. We, as developers, have the freedom to call APIs as we need since not all calls need a policy e.g. POST that can cause duplication or errors will not be retried. All our functional services will inject IApiService to make API calls. The main component to pay attention to here is the INetworkService. We inject this service in the ApiService and use for selective calls. This allows us to mock and test our services and gives us the option to replace Polly with any other implementation in the future without changing code in all services, just like our IClient… de-coupled 😉. We can have a policy for any type of exception we want to handle. For this app, however, we will implement Retry and WaitAndRetry policies based on the catch all Exception since we do not have any special flow for different exceptions. We use these as a starting point and build on top to get more complex policies for our app. Check Polly’s documentation to learn about all its powers. Let’s start with the INetworkService with Polly policies. Our Retry method will take a Task to execute on retry, a retryCount, and a Func to execute on each retry. As mentioned before, we are only handling exceptions of type System.Exception, but we can handle other exceptions e.g. .Handle<SqlException> and retry database connection, .Handle<HttpResponseException> and handle response issues, etc. We can also combine these as .Handle<SqlException>().Or<HttpResponseException>(). Now that we have our policies in place, we will simply inject INetworkService into our IApiService and use its policies. That’s it. Now we can customize the behavior in OnRetry and/or OnWaitAndRetry and control the UI flow. So, what did we just do. We introduced a new service that holds all our resilience policies. Why keep it in a service in itself? For one, it gives us the ability to test our services with and/or without resilience policies. It let’s us swap Polly with any other implementation when the time comes by simply swapping out one service. Finally, it let’s us introduce resilience policies later in the project with minimum effort. and the ViewModel will update the text as it is subscribed to this event. Doing so, we politely notify the user that their data is being loaded. visit Polly to learn more. Really good stuff, i’m about to write something like this my self but now may trying polly. Absolutely. Give Polly a try, it may save you a whole bunch of time.